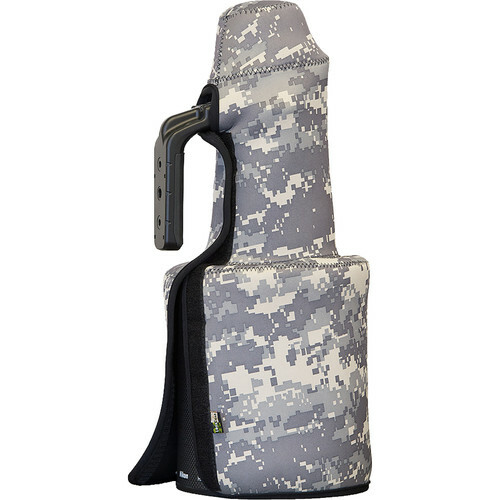 The digital camo LensCoat TravelCoat for Nikon 600mm f/4E FL ED VR Lens is a 3mm thick closed cell neoprene that is specifically designed to fit over the lens with its hood attached in the reverse, and once the shock-absorbing TravelCoat is on, it is secured via the hook-and-loop closure. Therefore, it protects the finish of the lens during storage or transport. Box Dimensions (LxWxH) 19.75 x 8.45 x 2.9"